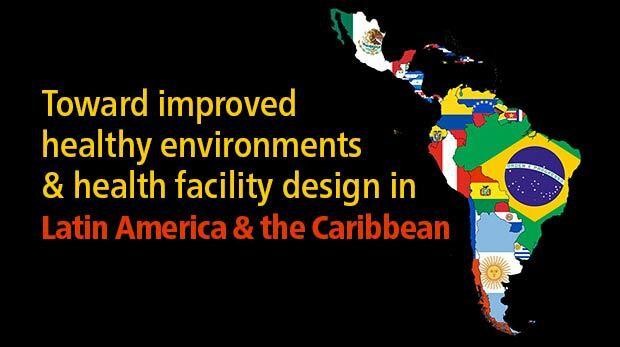 Leading designers and healthcare administrators from North and South America will discuss environmental health issues and health facility design in Latin American and Caribbean during the the Spring 2015 Architecture-for-Health Lecture Series at the Texas A&M College of Architecture. The public lectures, which also focus on how living conditions in the two regions affect residents’ health, will be held 11:30 a.m. most Fridays through early May in Langford C105. The lecture series is hosted by Texas A&M’s Center for Health Systems & Design, the College of Architecture and the Department of Architecture. Students can earn 1-hour class credit for the lecture course: ARCH 681 for graduate students and ARCH 481 for undergrads. George J. Mann, the Ronald L. Skaggs Endowed Professor of Health Facilities Design, coordinates the series each semester with assistance from Zhipeng Lu, a lecturer in the Department of Architecture at Texas A&M. Additional lecturers will be announced as they are confirmed later in the semester. The lecture series' keynote address features Jorge Vanegas, dean of the College of Architecture (above left). Prior to the keynote, Mann will introduce several faculty members who are playing instrumental role facilitating the semester-long lecture series: (picture from the left after Vanegas) Cecilia Giusti, associate dean for outreach and diversity; Elton Abbott, assistant dean for international programs and initiatives; Kirk Hamilton, interim director of the Center for Health Systems & Design, Ward Wells, head of the Department of Architecture, and Miriam Olivares, geospatial coordinator. Featuring presentations by Alva O. Ferdinand, assistant professor of health policy and management, Texas A&M School of Public Health and Lisako McKyer, associate director, Texas A&M Transdisciplinary Center for Health Equity Research. With presentations by Raymond Cherington, medical director and Patrick Connell, a physician at Clinica Esperanza, Roatan Island; Howard S. Gruber, Clinical Professor Emeritus, University of California-Berkeley and University of California-San Francisco Joint Medical Program and past medical director atGlobal Healing’s Roatan program. A presentation by Gisele Almeida, advisor, health systems and services, Pan American Health Organization, Washington D.C. Presentation featuring Eugenio Gonzalez, SCRE director. A case study of this HKS project presented by Bruce Edward Johnson, associate principal and senior vice president, HKS, Inc.
Gabriela Campagnol, Texas A&M assistant professor of architecture, will offer an overview of hospital designs by this iconic Brazilian architect and urbanist. A presentation by Astrid Maria Debuchy, an architect, lecturer and researcher at the Center for Research on Health Facility Planning at the University of Buenos Aires, Argentina. Featuring Tom Harvey, principal, academic healthcare practice leader, HKS, Inc.
A presentation by Fernando Rodrigues, director of health & wellness, Gensler. Presentations by Jim Diaz and Lari Maria Diaz, principals at KMD Architects. Presentation by Peter Trice, vice president of the Innova Group. A presentation by Herminia Silva Machry, an architect and urban planner based in Florianópolis, Brazil. She is a faculty member at UNIVAILI, a university in the south of Brazil where she teaches undergraduate courses in architecture and healthcare hospitality.